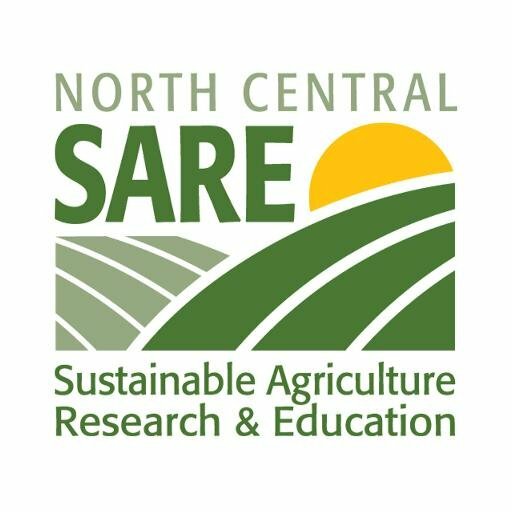 The North Central Region Sustainable Agriculture Research and Education (NCR-SARE) Program recently awarded grants for the Farmer Rancher and Partnership grant programs. Laura Paine with Dairy Grazing Apprenticeship in Columbus, WI was awarded $74,107 for the project, “Enhancing the Quality of Work-based Beginning Farmer Training Programs Through Trainer Professional Development.” Paine’s project has been named as the 2017 Paula Ford Professional Development Program Proposal of the Year. From 1991-1997 Dr. Ford served as the Program Coordinator for the Southern Region SARE program. She was the NCR-SARE Professional Development Program Coordinator at Kansas State University for 11 years (1999-2009), and supported sustainable agriculture and SARE for more than 20 years. To honor Dr. Ford’s contributions to NCR-SARE, the Administrative Council created the “Paula Ford Professional Development Program Proposal of the Year” award. Each year, one Professional Development Program funded project in the North Central region is given this special designation. The region selects the project that best exemplifies Dr. Ford’s contributions and passion for evaluation, professional development and/or science-based research. Since 1988, Wisconsin has been awarded $9 million to support 269 projects, including but not limited to, 55 research and/or education projects, 20 professional development projects and 104 producer- led projects. Wisconsin has also received additional SARE support through multistate projects. The focus for each of the NCR-SARE grant programs is on research and education. Funding considerations are based on how well the applicant presents the problem being addressed, the project’s relevance to sustainable agriculture in the 12-state North Central region, and how well it aligns with NCR-SARE’s goals, among other factors specific to each grant program. NCR-SARE’s Administrative Council (AC) members decide which projects will receive SARE funds. A collection of farm and non-farm citizens, the AC includes a diverse mix of agricultural stakeholders in the region. Council members hail from regional farms and ranches, the Cooperative Extension Service, universities, federal agencies, and nonprofit organizations.